Derek Antrobus appointed as the Chair of North West RFDC and James Morrish as the Chair of South West RFDC, plus 3 new members. The Department for Environment, Food and Rural Affairs have appointed Derek Antrobus as the Chair of North West Regional Flood Defence Committee (RFDC) and James Morrish as the Chair of South West RFDC. Defra has also appointed Tom Forde as a member of the Thames RFDC, Roland O’Brien as a member of the Southern RFDC and Gavin Bloomfield as Conservation member of the South West RFDC. Regional Flood Defence Committees are responsible for decisions made on flood and coastal erosion defence works carried out in their regions by the Environment Agency. All five appointments took effect from beginning of October 2010 and will run until end of September 2013. 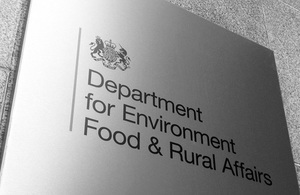 Defra is responsible for appointing the Chair of the committee and number of members; two other members are nominated by the Environment Agency and the local authorities in the area appoint the remainder of the members. Derek Antrobus has served as a Labour Member of Salford City Council since 1979. He represented the Armitage, Mount Skip and St Mary’s Ward until 1982 since when he has represented Swinton North Ward. In 2010 he was appointed to the Council of Salford University. He currently sits on the Council’s cabinet as Lead Member for Planning, a portfolio that includes planning, highways (including road safety) and engineering. He leads on the climate change agenda, chairing both the Carbon Reduction Management Board and the Salford Flood Forum. He is a member of the national Local Government Flood Forum. He attends board meetings of the Salford Urban Regeneration Company. He also coordinates Town Twinning for the city council. Councillor Antrobus represents the Association of Greater Manchester Authorities on the North West Regional Flood Defence Committee and on the trustees of the National Museum of Labour History. He chairs the Greater Manchester Joint Waste Planning Committee and the Red Rose Partnership. He is chair of the Greater Manchester Planning and Housing Commission. He is also a trustee of Community Forests North West. Before taking on the planning portfolio, Councillor Antrobus was responsible for finance, administration and e-Government, a responsibility he held under the old committee system when he was chair of the Corporate Services Committee. He was for many years vice-chair of the Finance Committee and, before that, held the same position on the Planning and Development Committee. James Morrish is the current Leader of Torridge District Council and Leader of the Conservative Group on the Council. Having been educated at local schools, James soon became very much involved in the family farm at St Giles in the Wood in the heart of Torridge. After leaving education James was appointed as the South West Officer for farming charity Rural Stress Information Network and continued to work in that position until 2005 when he became the Charity’s chief executive. He was recognised for his work during that time and was awarded the Country Life Young Ambassador for the Countryside in 2002 and the NFU Farming Ambassador in 2003. In 2003 - 2005 James was chairman of the North Devon Area of Natural Beauty and has spent his whole life supporting the Young Farmers Movement including as National Activities Chairman at the National Federation of Young Farmers’ Clubs. Since 2006 James has also worked for Kivells as pig and equine auctioneer for them, as well as head of PR.